Hal Leonard Publishing Corporation, 9780793590063, 206pp. In a relatively short time span, grunge music exploded out of its native Seattle and became the most dominant force of the early '90s. Groundbreaking bands like Nirvana, Pearl Jam, Soundgarden and Alice in Chains introduced a generation of young rock fans to their grainy, hard-edged brand of modern metal. The rise to prominence for these and other grunge monsters is detailed here, in Guitar World Presents Nirvana and the Grunge Revolution. 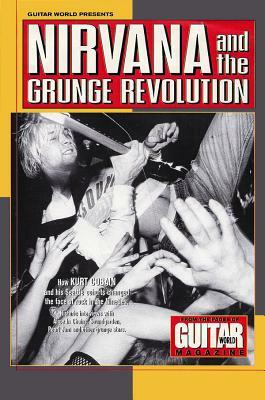 The first section of the book serves as a tribute to the late Nirvana guitarist Kurt Cobain. It features revealing interviews with Cobain, a behind-the-scenes look at Nirvana's legendary MTV "Unplugged" performance, and an insider's guide to the making of their groundbreaking album, Nevermind. In addition, the book features interviews with many others who played key roles in the Seattle sound explosion, including Pearl Jam's Stone Gossard and Mike McCready, Alice in Chains' Jerry Cantrell and Soundgarden's Kim Thayil and Chris Cornell. 200 pages, 6" x 9.